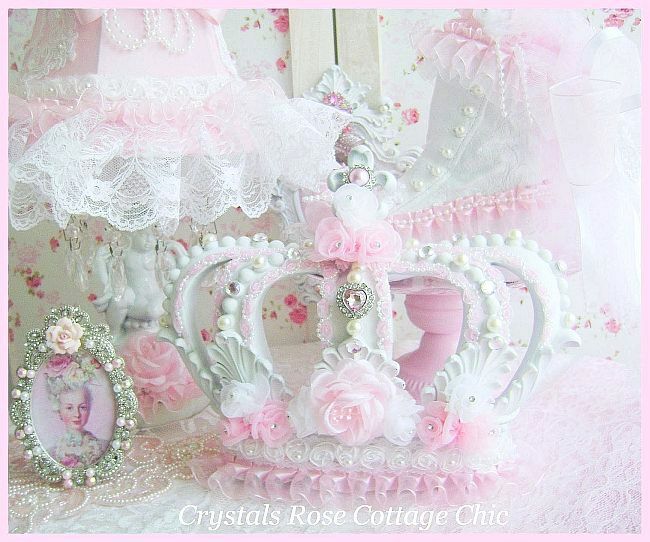 This wonderful, white crown with gorgous scroll work and topped with a Fleur De Lis has been lovingly embellished for the Shabby Chic/Pink Princess/Christian Chic orRomantic home. 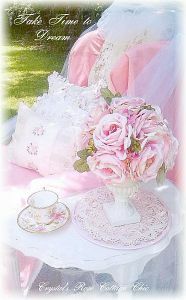 It has a sweet, pink organza ruffle trim, above that is a shabby cottage white, bridal trim with rosettes and pearls. 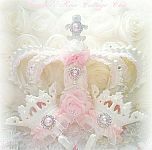 Just above the trim I've added in lots of lovely organza rosettes with sparkling rhinestone touches. In the center of this floral bliss is a nice, pink, satin rose. 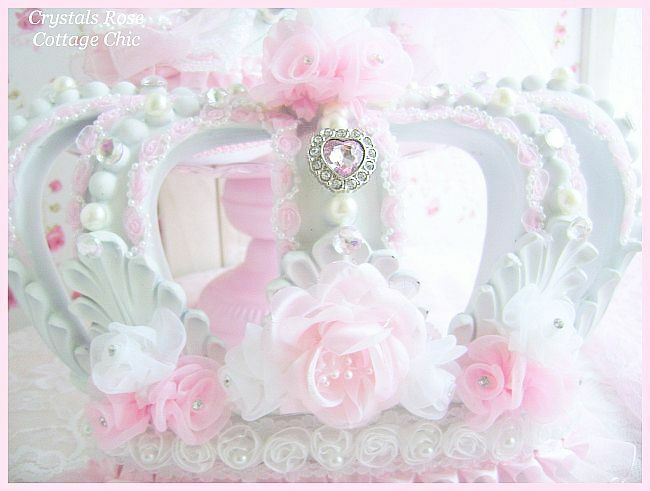 Following the curves of this crown are pearls and rhinestones and pink rosette and pearl trim with a stunning, pink rhinestone heart in the center. 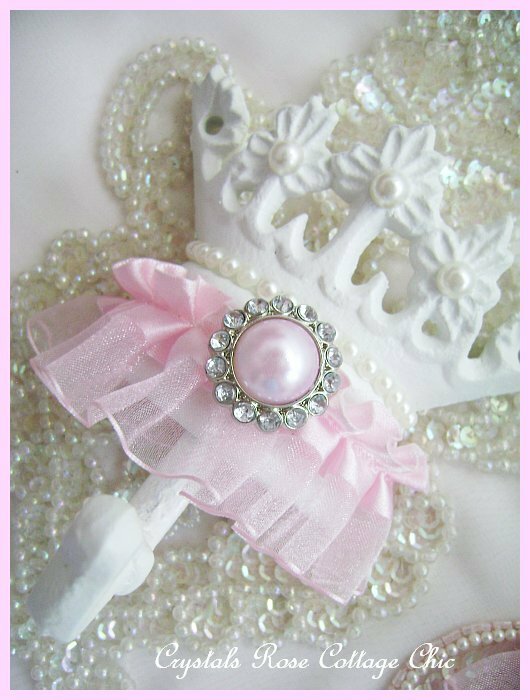 For the crowning touch, I've added more organza rosettes and a pink pearl and rhinestone piece in the middle of the Fleur de Lis. 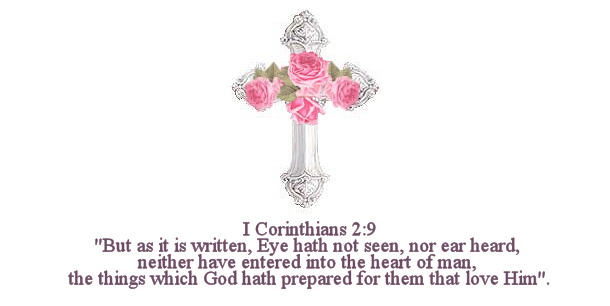 Truly beautiful! It is designed to hang on the wall with a saw tooth hanger on back. It measures 11.5" x 10" including the ruffle on the bottom. If you plan to use this over a crib or bed you will want to select "Canopy Bar" from the "Crown Back Choice" drop down menu. This way you can drape tulle, organza, lace fabric etc. 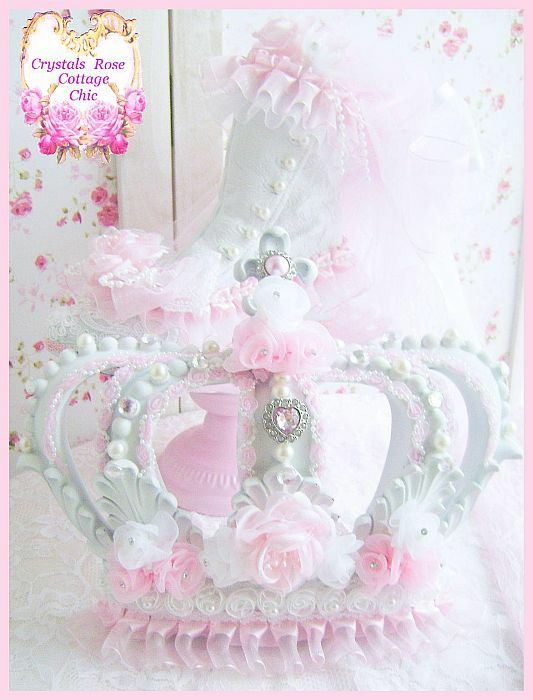 from your crown to make a lovely canopy. If you plan to use this as wall decor then you will most likely not want the canopy bar . If you would like to add crown hooks to your order to swag your canopy please see link below. Thank you.